Photos above and below: Day and night, Lolo and Lola's restaurant was full from its pre-midday opening to late at night. People don't mind the wait to get seated at times, as it has become like a Filipino pilgrimage to eat at the restaurant. This is a restaurant where everyone wants to eat there again and again. 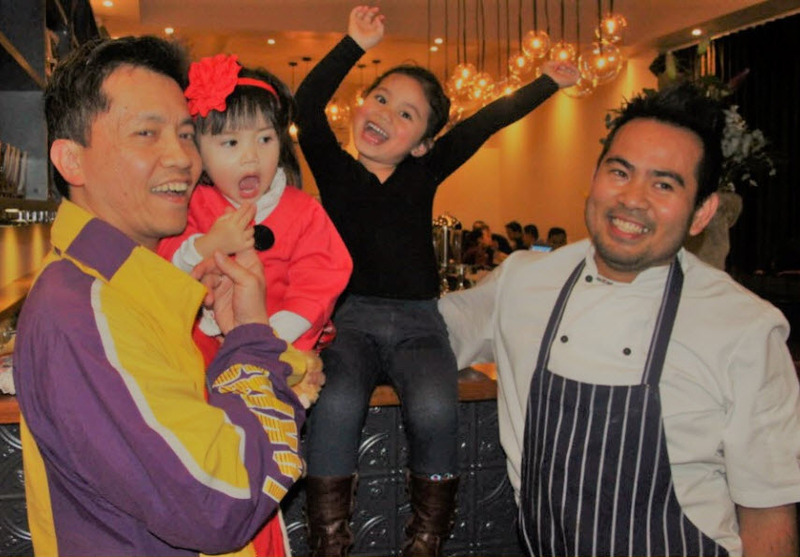 It has a great social atmosphere for both Filipino-Australians and the many other Australian locals who love the food. "Great food, plus your great charisma & great personality - Kim Prieto tops it all! Congratulations again Lolo and Lola!  till next time..."
"Love the decors. Very great customer service from the moment you step in. I'm very happy you continue to maintain the authenticity of Filipino cuisine flavours. ​The pancit palabok was very pleasing. A different take on the adobo having mushrooms and quail eggs instead of chicken and pork. We can't miss not having the bagnet - pork with crackling. The sauce (surely some will say) takes you back to the Philippines. We shall return (quoting the General) and order the other dishes plus sample the coffee and hot chocolate. They [Lolo and Lola] have a busy kitchen, but Kim as always was her gracious self, very accommodating, welcoming, taking time to have small chats with the customers, or check if everybody is being served." "I love this place so much! Fast service & great food �� Friendly service which brings a lot of memories of back home! I love the look of the restaurant too � I'll be sending all my family and friends, no doubt! Until next time." "LOLO and LOLA managed to make Filipino food hip and modern without compromising the authentic flavours that we grew up with and love. 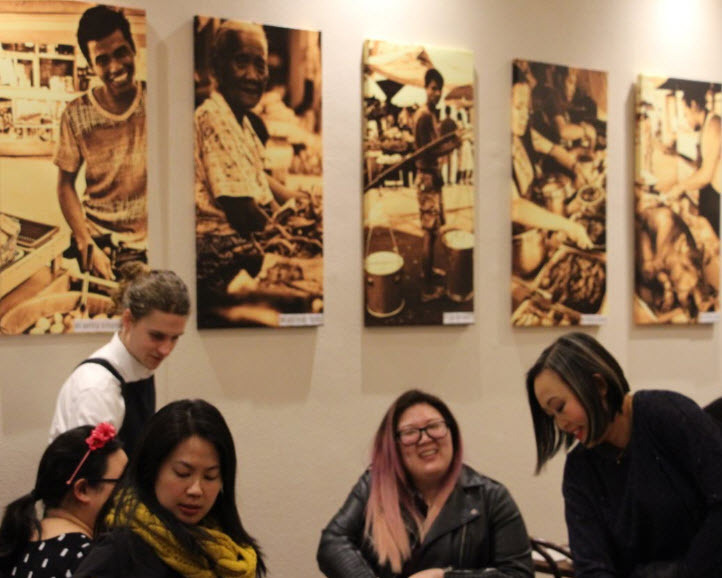 Their creative takes on traditional Filipino food look and taste good! Mouth-watering dishes. Excellent customer service. Definitely worth the 2.5 hour drive from Sydney to Canberra. We're already excited to check out the new place, and we're planning to bring some friends!" "It was such a great way to celebrate my son's 10th birthday. The service was wonderful; wait staff are all friendly and accomodating. The food were absolutely delicious. Thanks for a lovely dinner on your opening night." 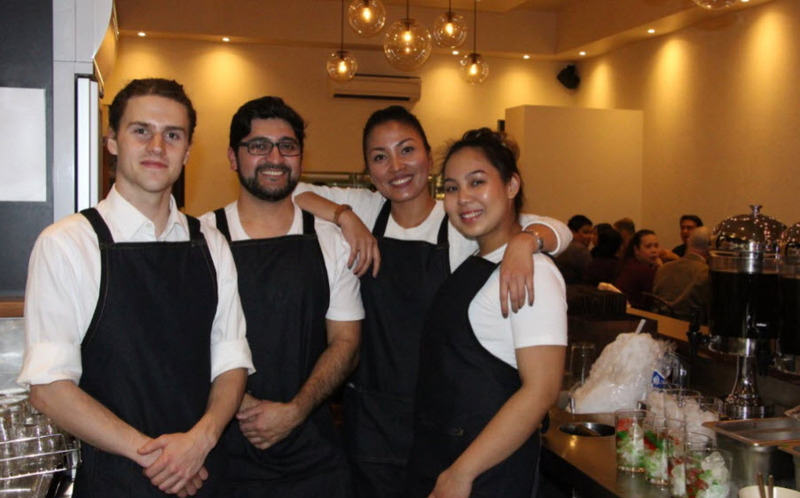 "All I can say is that Jay and Kim not only brings the authenticity of the filipino cuisine but the way Filipinos value and deliver customer service which is very essential in the food business. Keep it up chefs. Im hoping that you can expand your business." "Lolo and Lola have a great concept. Only doing a few select dishes a day which means that every dish is cooked with love... and true to their name, filipino dishes tastes just like how my mom,dad or lola cooks it - also always keeping u excited on whats on offer. Most filipino restaurants try to do too much and take out the true flavours that you are better off cooking it yourself... but not so with Lolo and Lola! So my weekly visit to this place is like visiting home. The always happy and welcoming service from Kim and company also makes you feel like family. Sarap and Saya together. Keep it up !!" It's first public week of opening saw thousands of customers come through its doors. The queues lasted from before midday until later into the evening - from opening to closing. Lolo and Lola also have thousands of social media followers. Since the first week the crowds seem to just keep coming all day long. 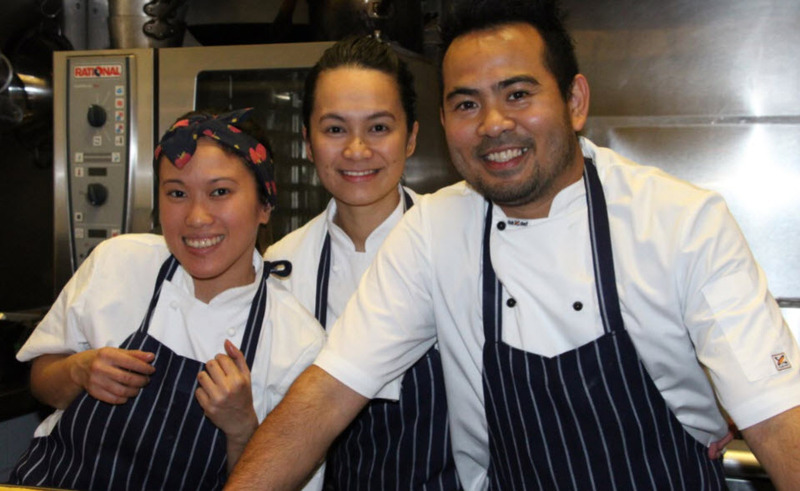 Jay, Kim and Christina are possibly the most qualified and experienced Filipino chefs in Australia. They did extensive training at some of Manila's best institutions and hotels, as well as around Australia, such as in Sydney, Melbourne (the Grand Hyatt) and Perth. Jay and Kim moved to Canberra with their beautiful daughter, and Christina. Their long hard struggle to get themselves to this point in time has been like a fairytale journey which they are very passionate about. Their post below demonstrates this journey and passion. Once upon a time, we had a dream. It was a dream to share the exotic and honest flavours of the Philippines' 7,107 islands to Australia and to the world. The dream felt impossible, and yet we tried. At times it was difficult, but we kept going. Starting Thursday 13th July 2017. 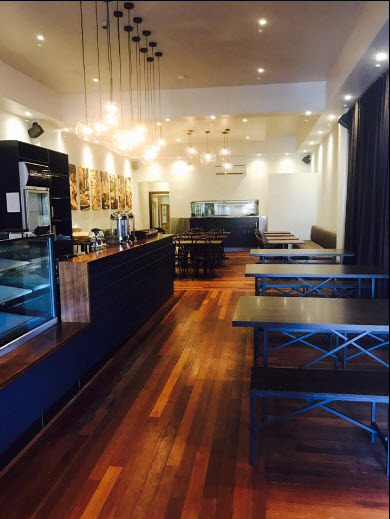 The new Lolo and Lola restaurant is well located near the main Northbourne Avenue thoroughfare leading out of Canberra to Sydney and next to a large local supermarket and other shops. Photo above: Happy customers enjoying the great food, service and atmosphere of Lolo and Lola's Restaurant. 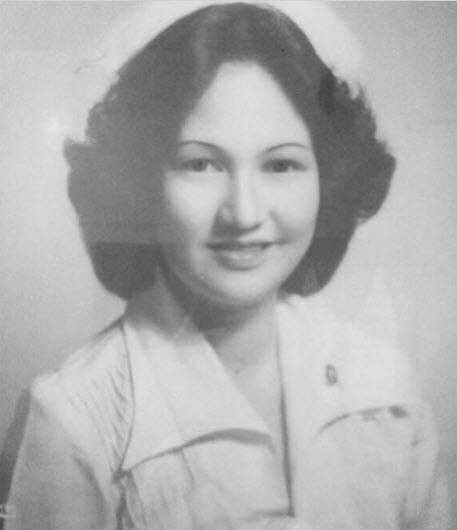 Photo below right: Early photo of the mother who helped Jay and Kim, and who was an inspiration for the business name Lolo and Lola (Grandfather and Grandmother). 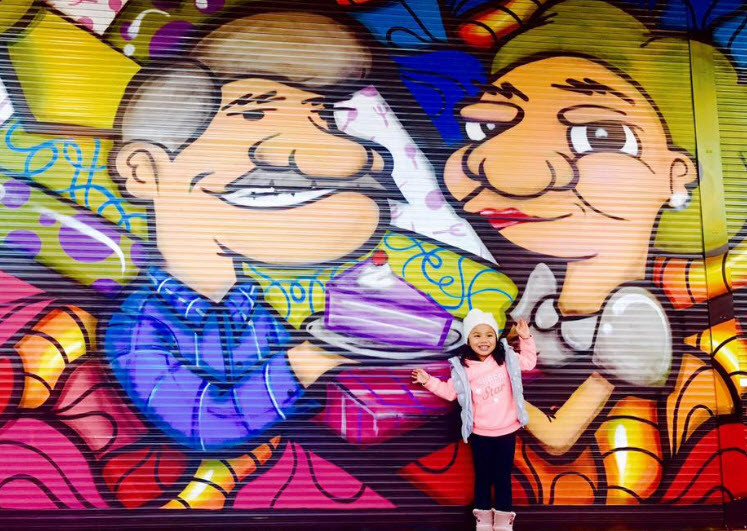 Photo above: Jay and Kim's daughter standing in front of the now iconic mural depicting a Lolo and Lola (Grandfather and Grandmother) with Filipino food, painted on the outside of restaurant of the same name in Watson, ACT.